If past disasters have taught us anything, it is that we can’t count on our stockpiled goods to get us through. 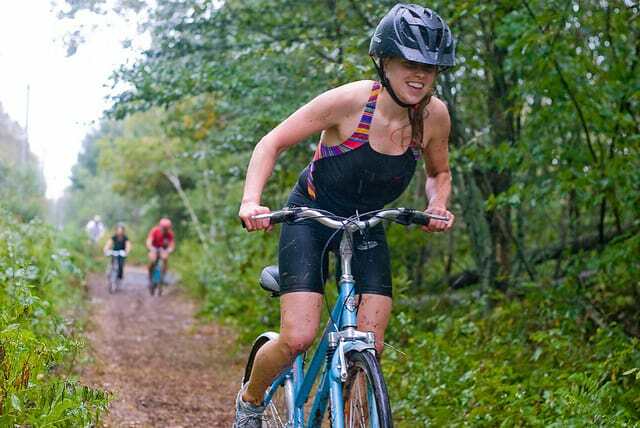 The best survival resource we have at our disposal is ourselves – which is why we should start looking at physical fitness as an integral part of disaster prepping. Are You Fit for Survival? There are a lot of great survival schools in the country. Some courses will give you a taste of how physically demanding survival is. However, most of us haven’t been tested in true SHTF situations. So, why do so many unfit preppers think they’d survive alright? In a SHTF world I don’t think we’d need to be superfit to survive would we? As long as our trigger finger (for gun or crossbow) is in good shape we should be able to do alright. We’d just either barricade ourselves in our home with our food/water stockpile and sit tight, or travel to an out-of-town bugout location by vehicle or bike and sit tight there. We wouldn’t even need to run after game, because no animal can outrun a bullet, crossbow bolt or arrow. This guy has obviously never had to run through a minefield while being fired at by snipers. I doubt he has ever even been hunting. As Ben Green Field Fitness points out, even in the best-planned conditions, hunting still requires a lot of physical skill, like endurance and strength for carrying a heavy weapon long periods of time. As a whole, preppers are overly reliant on their firearms. If your entire prepping plan comes down to, “stock more bullets,” then you are probably not physically fit for survival. We’ve all heard stories about how adrenaline allows us to perform superhuman feats, mothers being able to lift cars off their children. In extremely stressful situations, adrenaline and cortisol do increase our physical abilities. However, the science shows that these effects are exaggerated. If you can normally lift 100lbs, stress might help you lift 130lbs – but not a 3,000lb car! Even if adrenaline was capable of turning us into superhumans, the effect is short lived. Once the surge of adrenaline wears off, you feel extremely fatigued. In a survival situation, you wouldn’t be ready for the next threat. 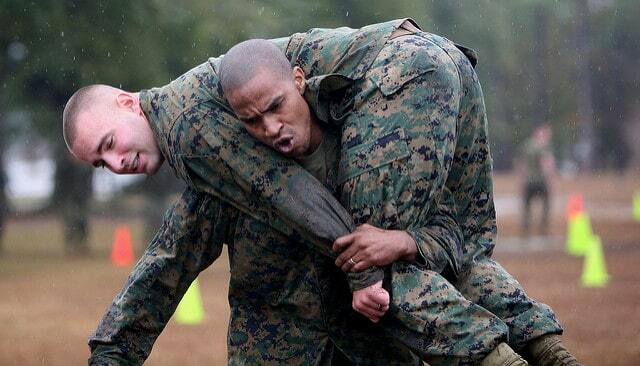 There’s a reason why soldier training includes carrying a person! Before starting any prepper fitness routine, you need to establish what your goals are. I like how Richard Broome talks about a “baseline” of prepper fitness requirements. Much like with the CrossFit Games, he thinks that we should define specific challenges that all preppers should be able to do. Here are some prepper baselines from Broome as well as some ones that I added. Walk 12 hours while carrying a heavy pack? Lug 2 ½ gallons of water in each hand back to camp from a stream 3 miles away? Carry a 150lb person on your back? Swim across the lake located nearest to you? Run 5 miles over hilly terrain? “Fitness” can be broken down into 10 individual skills. These exact same skills also apply to prepper fitness. Obviously, there are some differences – like the difference between going for a casual run and having to run away from an attacker. However, the skills are fundamentally the same. I probably don’t have to tell you how important cardio health is for survival. If you are wheezing at tasks like hiking, chopping wood, or rowing, you won’t make it very far. Running is one of the easiest ways to improve your cardiovascular fitness. Example: Being able to walk/run for hours at a time when fleeing a disaster zone. Also referred to as muscular endurance, stamina is how long your body can perform repeated muscle contractions. Stamina is built by doing weighted exercises. The key is to perform lower-weight exercises at higher repetitions. Example: Chopping and stacking firewood for an entire day. Go to a gym and you’ll see a lot of people obsessed with strength training. However, remember that having strong muscles is only one prepper fitness skill. If those muscles aren’t also flexible and have cardio endurance to back them up, then the strength is only useful in situations where you need a lot of power output at once. Example: Being able to lift concrete rubble from a blocked passageway, such as when trapped during an earthquake. Yoga has gotten very popular with women, but it is still taboo for men to work on their flexibility. Just look at any ripped jock in the gym. They can lift heavy weights, but those muscles will snap quickly if pressure is exerted in the wrong direction! You’ll need to work on both static and dynamic flexibility. If you don’t, your likelihood of injury while doing other prepper fitness skills increases. Example: Being able to pull someone over a wall without pulling your rotator cuff. Now we arrive at the neurological fitness skills. These skills are trained through practice. By contrast, the organic fitness skills listed above (endurance, stamina, strength, flexibility) produce observable changes in the body. 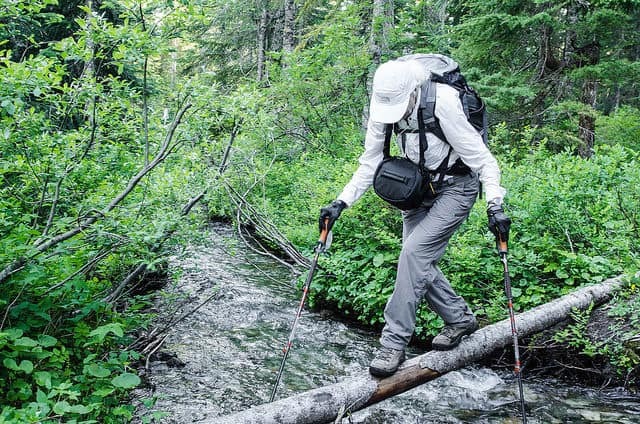 Balance is a very good skill to have in outdoor survival situations. I can’t the number of times I’ve had to cross streams by stone-hopping or balancing on logs. Example: Crossing a log bridge over a river. *In an urban survival environment, I’d bet “roofers” would have an edge. I’m not sure why anyone would want to do something so reckless (Russians are crazy!) but damn his balance is great. Accuracy is defined as, “The ability to control movement in a given direction or at a given intensity.” This prepper fitness skill is important for a lot of homesteading tasks, such as chopping wood, driving stakes, and plowing. Example: Throwing a heavy spear and hitting your target. Agility is “the ability to apply explosive movements to rapidly change directions.” I can’t help but think of my Bosnian friends for this one. During the Siege of Sarajevo, people had to regularly run across “Sniper Alley” on their way to collect water and supplies. Speed was obviously important, but the agile ones who could change directions like cats would be harder targets for the snipers. Example: Avoiding gunfire while fleeing. It wasn’t until I tried bow hunting that I realized my coordination needed work. You’ve got to have a good sense of spatial orientation and rhythm so you can react quickly. To practice coordination, try playing catch, learn to juggle, or jump roping. Example: Running through rough terrain without twisting an ankle or getting whacked in the head by branches. Speed and power are a combination of organic and neurological skills. They require both physical training and practice. A bit part of speed is reaction time. You can be the fastest runner in the group – if it takes you a long time to react, you could be the one that falls victim. Balance exercises are particularly good for improving reaction time. You can also play card games like “Slapjack.” But remember that having a clear head – free of stress and alcohol – is also important for reaction time. Power is a combination of strength and speed. A huge amount of strength being released quickly results in high power. Jumping sports like basketball and volleyball require a lot of power. A big part of prepper fitness is learning how to utilize power. For example, I’m not strong enough to rip a standard door off the hinges. But, by running at the door at high speed, I could break it down. 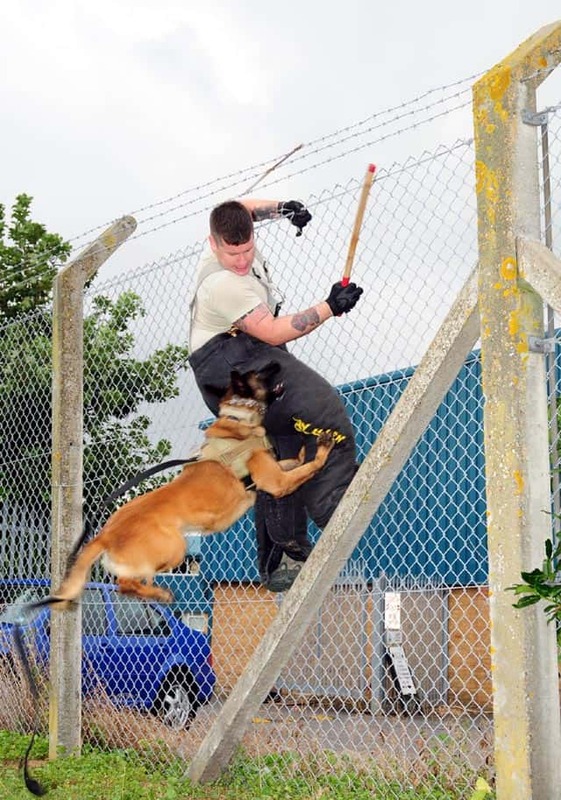 Example: Jumping over a high fence . It’s easy to focus on one or two of the prepper fitness skills and consider yourself “ready.” However, total fitness depends on your mastery of all 10 fitness skills. For example, a person who can easily beat the crap out of a 200lb attacker might not have such an easy time outrunning the attacker! The good news is that you can practice multiple fitness skills at once. Here are just some examples of exercises preppers can do and what skills they develop. I tried to be a bit creative with these fitness activity ideas. Obviously, there are tons of traditional exercises you could do that would help you develop prepper fitness. Krav maga and CrossFit are two popular options with preppers. Boxing is also great, especially for the neurological skills like increasing reaction time. Not sure what exercises to do for prepper fitness? You can find some prepper fitness workout routines below. Just be warned that almost all SHTF workouts you find online focus only on cardio and strength. To make sure you are training all 10 prepper fitness skills, you’ll have to diversify your exercises. And don’t forget to stretch! Are you working on your prepper fitness? What types of exercises are you doing? 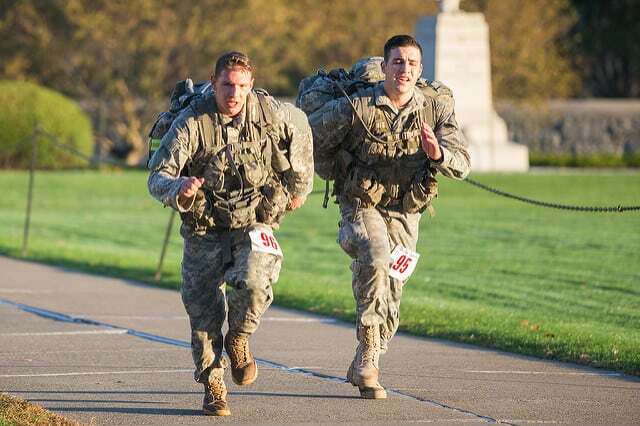 Basic military training that even our reserves get, all of this and more. Just make sure you can get reservists like my son and his friends, into your 10′ underground survival shelter if possible. I’d like to encourage mid-life to elderly folks, particularly women, by saying it’s never to late to start working on strength, balance and aerobic abilities. Exercise programs (primarily strength training and balance exercises) are popping up across the country. I lead a group called Strong Women but there are a number of similar programs. You don’t need to join a gym – SW is free, most of my ladies wouldn’t attend with men anyway, and rural areas have these programs as well. Call a local Senior Center or Extension Office to see what your options might be as you don’t want to be the burden or the one left behind when emergencies hit. Grab a friend and walk the mall. Make sure you know how to get up off the floor by yourself. Use the school playground to build balance. Do what you are able and know that you can do more than you think you can. Have fun and build your confidence. I find that as we grow older and more sedentary, our bodies forget how to move but motion is lotion and moving feels so good. Awesome comment Debbie and you are absolutely correct, the human body is an amazing thing. Staying fit is just another part of the prepping mindset and needs to be worked on like everything else. There is free fitness equipment in parks and on hiking trails in Hong Kong. You’ll mostly see the elderly practicing on them, besides doing taichi. UK also has some free open air gyms in parks. If you want you can do something for your health. Your base lines (below) are probably great for most people under 40 years old, as the body can train to do this without breaking down as easy. When you reach my age (62), the base line changes (or should change). Most of the base line would be cut in half. Not saying it cannot be done, but not for most at my age. Just being very realistic about this and I do work out everyday (5 days a week) after work. Jog a mile and a half on a tread mill also use an elliptical, while doing other weight training and stretching exercises. I put in two sperate hours a day, one in the morning, one later afternoon. Then deal with all he muscle aches and pains, arthritis issues etc.. and still keep at it. So lets give the older crowd a realistic “Base line”. Yes very true Wayne, as with everything survival these articles can only provide generalized advice. You must tailor everything to your own situation.